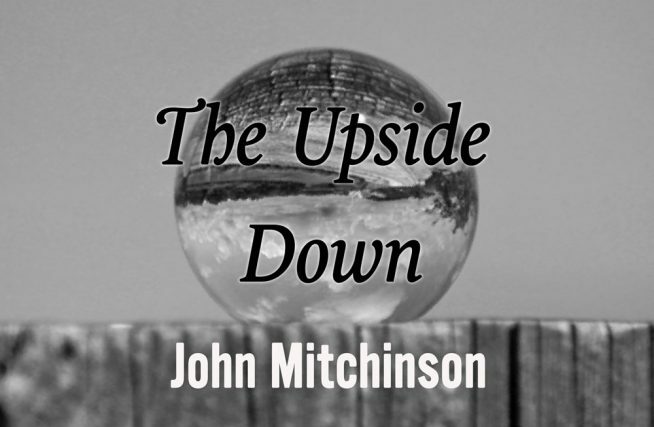 In a new column, The Upside Down, John Mitchinson looks at the most familiar things in unlikely ways. Hydrogen oxide – commonly known as water – is so deeply weird that chemists have a list of its anomalous properties over 70 items long. It combines the two most abundant elements in the universe (hydrogen and oxygen) and makes a liquid (any other gas combined with hydrogen produces another gas). Dissolve something in acid and its gone; dissolve it in water and it’s still there. Nothing else in nature is found simultaneously as liquid, solid and gas. Most substances shrink as they cool, but as water freezes, it starts to expand and become lighter. It takes 10 times as much energy to heat water as it does to heat iron and it’s three times harder to compress than diamonds. Without water there would be no life. Its capacity to retain heat has helped keep the planet’s temperature stable. Its transparency allows life-sustaining light to penetrate its depths. Because it can dissolve almost anything, it is the medium in which life’s key metabolic exchanges take place. Dissolve something in acid and its gone; dissolve it in water and it’s still there. Paradoxically, this also makes it the most destructive substance on the planet. Sooner or later, water eats away everything. And there’s another, darker paradox. Despite its abundance, 99% of the world’s water is not usable. It’s not even seawater, but fossil water locked deep in the mantle – enough to refill the oceans 30 times over. The black waters of Lake Vostok, the world’s sixth largest lake, locked under four kilometres of Antarctic ice have not seen light for 15 million years, but still teem with microbial life. Space we discover is full of it – from our first discovery of extra-terrestrial water in 1969, we have now found 23 moist spots in our solar system alone. There are deposits of ice on the moon and on Mars and traces of water vapour on the cooler patches of the sun’s surface. Nothing else in nature is found simultaneously as liquid, solid and gas. There is something mind-bendingly liberating about this. Water recognises no national boundaries or political jurisdictions. It just flows and seeps. The great river basins – the Nile, the Tigris-Euphrates, the Mekong and the Brahmaputra – cut across some of the most populous nations on the planet. And it is here where we will need new thinking to address the problems of fresh water supply (by 2025 half the world’s population will be facing acute shortages). So, the simple act of turning on the tap reminds us to look deeper at where we come from and how we might survive. Turning it off, too (if everyone in the UK turned off the tap off while cleaning their teeth we would save enough water to supply the whole of Birmingham for a year). As W.H. Auden once reminded us in ‘First Things First’: ‘Thousands have lived without love, not one without water’.